Have a safe and reliable way to kill your vehicle in the event of an emergency during a competition event! 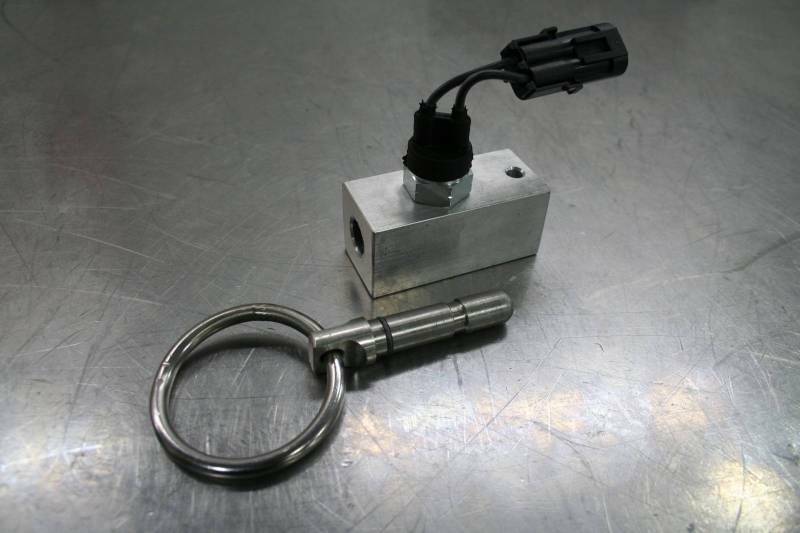 The body of this kill switch is made out of a single block of aluminum with a mounting hole drilled on the back side. The pin and ring is made out of stainless steel and has an o-ring seal to keep contaminants out and prevent a malfunction. This kill switch will work on any vehicle where you need to break the flow of power to a module (such as the ecm). Most applications just require a fuse to be pulled out and then this kill switch put in between.